Besides Walt Disney, no one seemed more key to the development of animation at the Disney Studios than Ward Kimball (1914-2002). Kimball was Disney's friend and confidant. 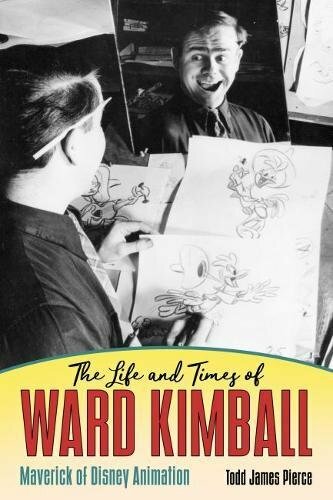 In this engaging, cradle-to-grave biography, award-winning author Todd James Pierce explores the life of Ward Kimball, a lead Disney animator who worked on characters such as Mickey Mouse, Donald Duck, Jiminy Cricket, the Cheshire Cat, and the Mad Hatter. Through unpublished excerpts from Kimball's personal writing, material from unpublished interviews, and new information based on interviews conducted by the author, Pierce defines the life of perhaps the most influential animator of the twentieth century. As well as contributing to classics such as Snow White and the Seven Dwarfs and Pinocchio, from the late 1940s to the early 1970s, Kimball established a highly graphic, idiosyncratic approach to animation alongside the studio's more recognizable storybook realism. In effect, Ward Kimball became the only animator to run his own in-studio production team largely outside of Walt Disney's direction. Through Kimball, the studio developed a series of nonfiction animation programs in the 1950s that members of Congress pointed to as paving the way for NASA. The studio also allowed Kimball's work to abandon some ties to conventional animation, looking instead to high art and graphic design as a means of creating new animated forms, which resulted in films that received multiple Academy Award nominations and two awards.